Queen rearing allows you to propagate from your best stock thus improving your apiary, is cheap and an important skill for beekeepers to develop. Grafting is straightforward and should not be intimidating. In this course we will highlight the biological principles of queen rearing, introduce the genetic concepts, summarise the various methods of rearing queens and conduct practical exercises in grafting and starting queen cells. 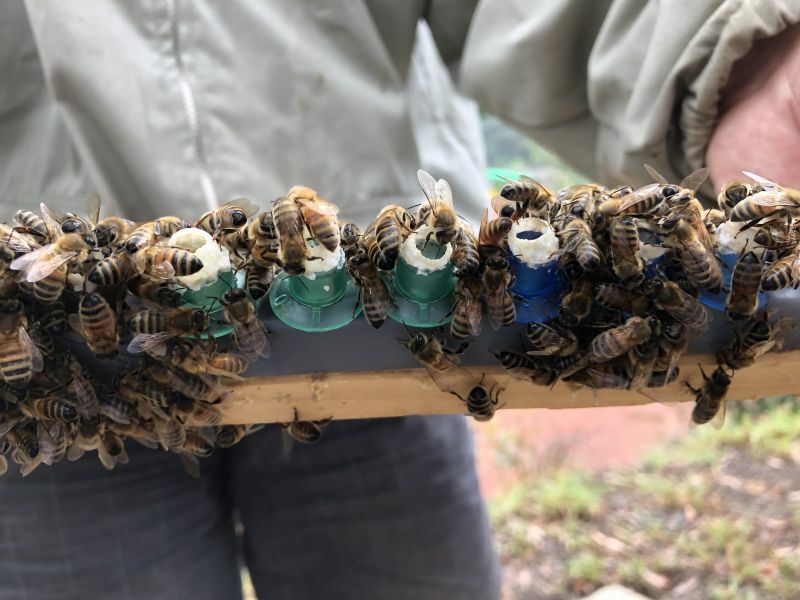 Students will gain hands on experience of the steps and will be eligible to receive a capped queen cell 10 days later to use in their own hives. Registration now open (places strictly limited). Note that this is a more advanced course that is aimed at experienced beekeepers who are already familiar with honey bee biology and husbandry and who are accustomed to handling bees.